Spalding stands out because of their high-quality products and passion for sports. Although they are best known for their exceptional basketball products, Spalding also excels in the field of volleyball. One of Spalding’s most popular volleyball product is the Spalding King of the Beach Volleyball. This ball is designed and built specifically for competitive play outdoors. The all-weather volleyball is engineered and stitched to be the best outdoor volleyball on the market. The Spalding King of the Beach Volleyball is designed and built specially for competitive outdoor volleyball games. It is perfect for competitive beach volleyball tournaments and simple, fun volleyball games in your backyard. It features a soft-touch, all-weather composite cover that offers the durability to withstand whatever the weather throws at it. The microfiber cover provides great feel, softness, and aesthetic appeal. The composite cover also does a good job of resisting wear and tear. Moreover, this ball does not get water-logged easily. And if it gets wet, it dries quickly. It is also easy to clean with water and a towel if it gets muddy. The Spalding King of the Beach Volleyball’s stitched 18 Panel construction provides superior shape and consistency. The edges are designed in a way that makes it easy to get a topspin. Plus, the ball is easy on the hands and has a soft touch for bumping, passing, setting, and hitting. It offers the perfect weight and feels. It is not too heavy, so you don’t have to pound it to get it over the net and not so light that the wind pushes it around. The ball is firm, but it is not hard. In addition, product design enables true flight and ball control. The ball also features a butyl bladder for improved air retention. 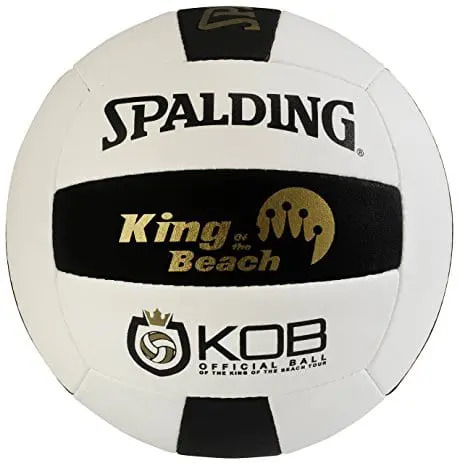 The Spalding King of the Beach Volleyball is not only ideal for recreational outdoor play, it is also the USA Beach Official Tour Volleyball. It is made to withstand the intense and hard play of volleyball professionals. The ball features the USA Beach Volleyball logo and King of the Beach emblems. 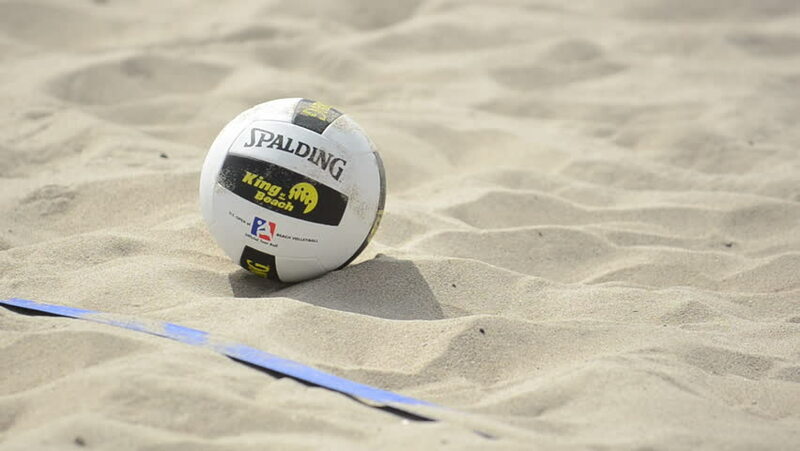 Overall, you can’t go wrong with a Spalding King of the Beach Volleyball. Purposefully engineered and expertly constructed, the all-weather King of the Beach Volleyball lives up to its royal name. It is the perfect weight and size, handles well, offers just enough grip, and has a nice leather feel when hitting, passing and serving. The ball is not cheap, but it is definitely worth every penny. So, enjoy a fun family activity while at the beach with the Spalding King of the Beach Volleyball.